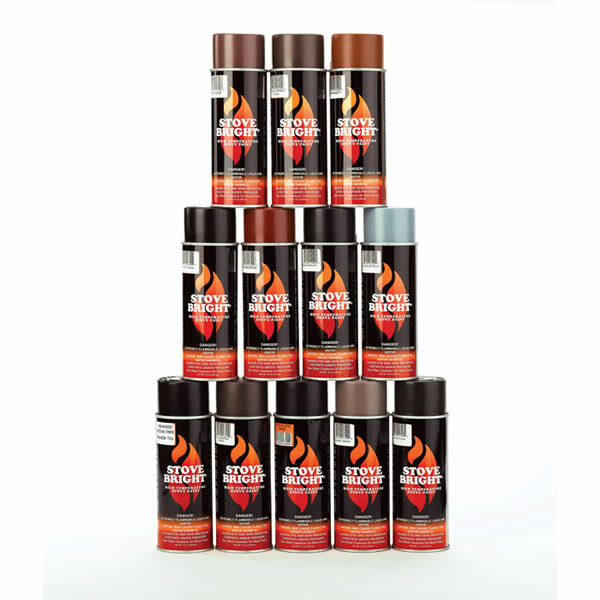 A 12-ounce can of stove paint will go a long way in giving your heating appliance a facelift; it will also help maintain your investment by preventing rust. 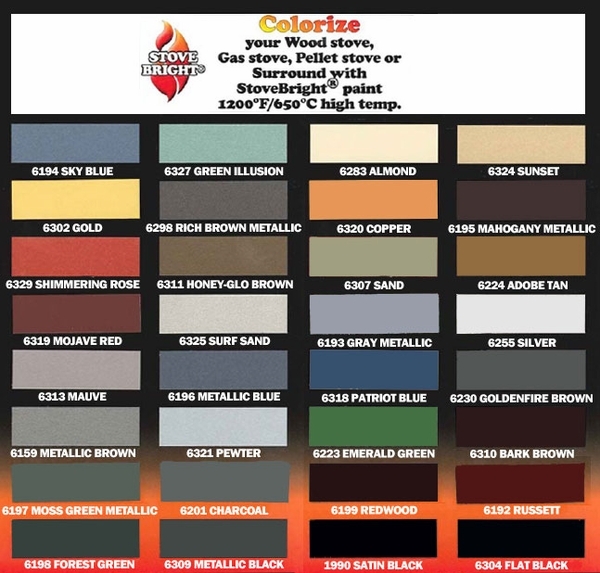 Stove Bright's paint is made to hold its color with temperatures as high as 1200 degrees Fahrenheit. You can use it to completely recover your stove, or you can use it to cover chips, scratches, or faded areas. For the price of one can of paint, you can have an entirely new heating appliance.